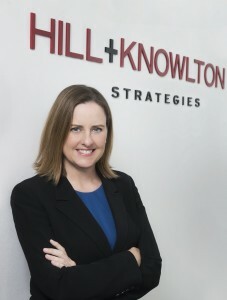 Hill+Knowlton Strategies (H+K) has appointed Fiona Parker to the position of Technology Regional Director for Asia-Pacific. Based in Hong Kong, Parker will be responsible for managing H+K’s growing tech portfolio across the region, reporting to KW Lam, H+K Hong Kong MD, and Sara Gourlay, Global Technology Practice Director. Parker returns to H+K, the agency where she first began her career in Sydney, with nearly two decades of communication experience and a proven track record in providing technology companies with strategic communication counsel and directing multi-market media relations campaigns. Most recently, Parker led MHP Communication Hong Kong’s corporate practice, delivering strategic public relations campaigns for a range of blue-chip clients, including BT and cloud computing innovator, Workday. As well as considerable agency experience across clients such as Intel, Canon and Nokia, Parker has previously held in-house positions with Energis Communications in the UK (Cable & Wireless), and BT Global Services, where she spent two years running senior and technical relationship marketing programmes in Australasia. Parker adds, “I’m honoured to take on this role and build on the success of H+K’s technology practice in both Hong Kong and the region. It’s an exciting time to work in tech communication in Asia, not just from an innovation perspective, but also in terms of the benefits and opportunities brought to both consumers and businesses everywhere by ongoing technological disruption”. Hill+Knowlton Strategies is a global public relations company, headquartered in New York City, United States, with over 85 offices in more than 45 countries and is part of the WPP Group. Providing senior counsel, insightful research and strategic communications planning with a worldwide presence, H+K is recognized as one of the global leaders in this field.